Xanthan Gum is in many gluten free products. But can it be found in the dental office? Since being the first dental office in Orange, CT to offer a gluten free dental visit, we have seen dozens of patients with either Celiac Disease or Gluten Intolerance. They are able to relax and be assured that no dental products containing gluten will be used on them or their children. In talking with one of our patients recently, one who experienced a severe allergic reaction to gluten in prophy paste during a routine cleaning, she described a new phenomenon of which I was not aware: allergic reactions to xanthan gum. Xanthan Gum is often times used as a substitute for wheat in gluten free breads. Xanthan gum is used frequently as a substitute for gluten in many gluten-free products. Xanthan gum is created using a variety of products which can include soy and wheat. 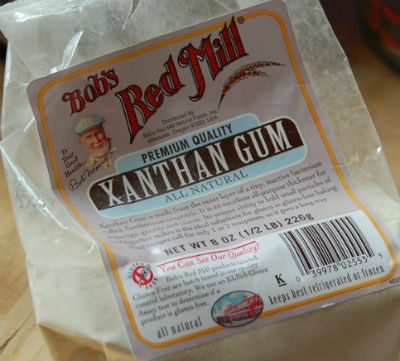 The xanthan gum is processed in order to remove the various starter products (such as soy and wheat). But it is still possible that soy and/or wheat remnants can be present after processing. This explains why many people with either Celiac Disease, Gluten Intolerance, or Soy Allergies end up developing allergic and/or adverse reactions to products made with xanthan gum. In addition, some claim that you can develop allergies to xanthan gum, even if there are no wheat products remaining. 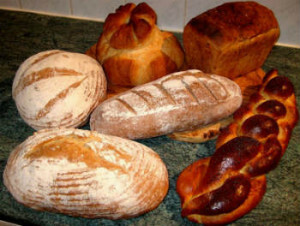 Article on celiac.com about xanthan gum sensitivity. I have gone to great lengths to be able to offer my patients a gluten free experience in my dental practice in Orange, CT. I have gone so far as to share MSDS (Material Safety Data Sheets) and detailed product descriptions with patients. So naturally the first thing I did was to check to see if xantham gum was listed in any of our gluten-free dental products. It was not. 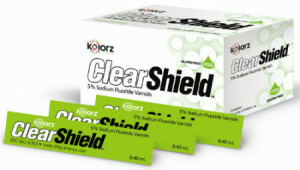 Our gluten free topical fluoride contains no xanthan gum nor nut remnants. Gluten is most commonly found in three products used at the dentist: topical fluoride, prophy paste (the gritty toothpaste your hygienist polishes your teeth with), and topical anesthetic. As I do for all patients with allergies, I needed to be 110% certain. So I called the company that I use for gluten free dental products: DMG America. One of their product managers got back to me within 2 hours. None of their products contain xanthan gum. They also confirmed that none of their products contain nuts. Prior to my conversation with my patient about xanthan gum, I was only promoting gluten-free and nut-free dentistry. Now, knowing that sensitivities to xanthan gum exist, I am also adding xanthan gum free dentistry to the list. I am this sure this list will grow in the future. For any questions, please call or visit this page to learn about gluten free dentistry in Orange, CT.